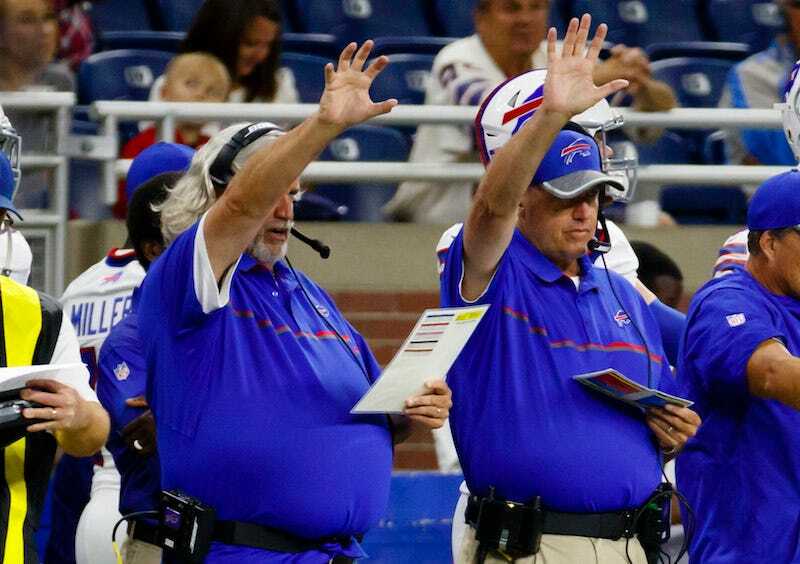 Rex and Rob Ryan are brothers, coaches on the Buffalo Bills, and now, weight loss partners. The rambunctious football twins are going to have to monitor their consumption of vanilla bean frappucinos, personal pizzas, stacked brewskies, and all other delicious foodstuffs. Expect Bills practices to get tougher with these two hangry boys.